Of the $14.1 billion space request for 2020, about $11.9 billion is for investments — which the Pentagon defines as a combination of RDT&E (research, development, testing and engineering) and procurement. In budget documents, the Pentagon shows about half of the investments going to satellites ($6.1 billion), and the remainder for launch ($1.7 billion) and a broad category of space support programs ($4.1 billion). The Air Force share of DoD space investments is $10.3 billion. 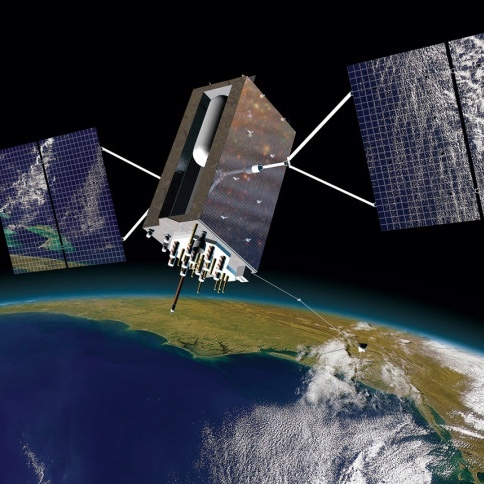 Within the satellites portfolio, $1.7 billion is for one GPS 3 satellite, the GPS 3 ground system and user terminals. There is $1.6 billion to continue the development of a constellation of five next-generation missile warning satellites known as next-gen Overhead Persistent Infrared, or OPIR — $1.4 billion for RDT&E and about $200 million for procurement. The request s almost double what Congress enacted for fiscal year 2019 for next-gen OPIR — $703 million for RDT&E and $108 million for procurement. The budget seeks $1.1 billion for satellite communications. That includes a mix of programs: Protected Tactical Satcom, Evolved Strategic Satcom, the recapitalization of the Enhanced Polar System, and funds for on-orbit testing of Advanced EHF communications satellite AEHF-5 and production oversight of AEHF-6. There is $1.7 billion in the budget for four launches under the National Security Space Launch program (formerly known as Evolved Expendable Launch Vehicle). That is a reduction from $2.1 billion for five launches that Congress enacted for fiscal year 2019.